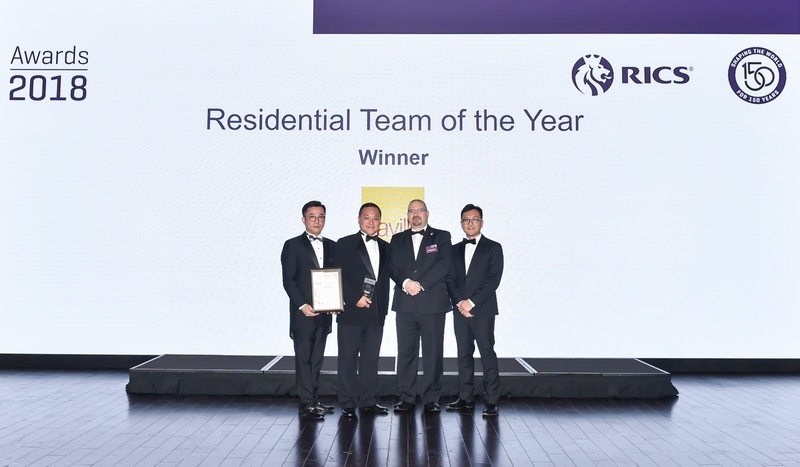 (Hong Kong, 25 March 2018) The annual RICS (Royal Institution of Chartered Surveyors) Awards, Hong Kong recognised the region’s most successful real estate teams and developments in the property sector. 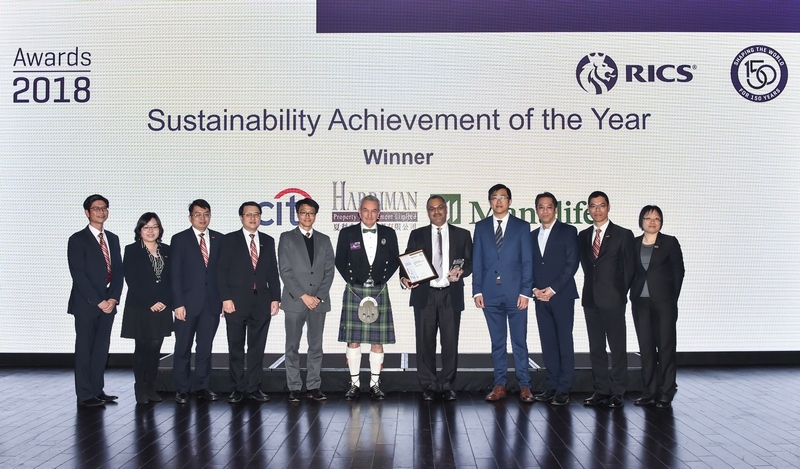 Companies and individuals received 36 awards at the seventh annual RICS dinner and presentation ceremony. 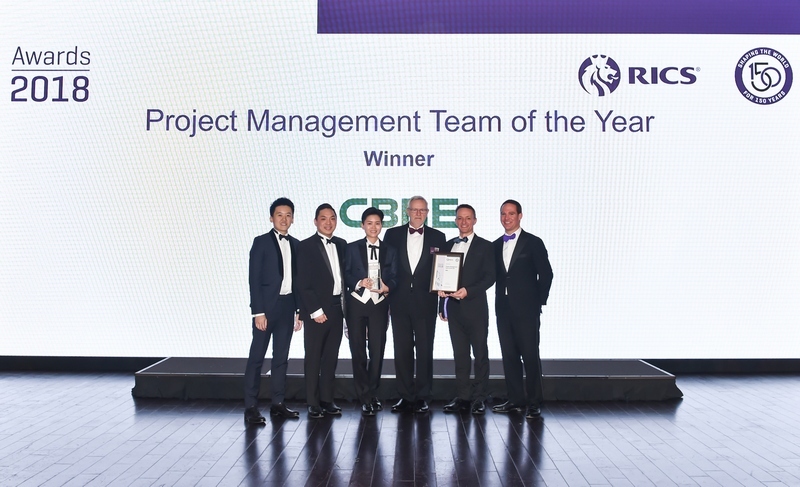 2018 marks the 150th anniversary for RICS. 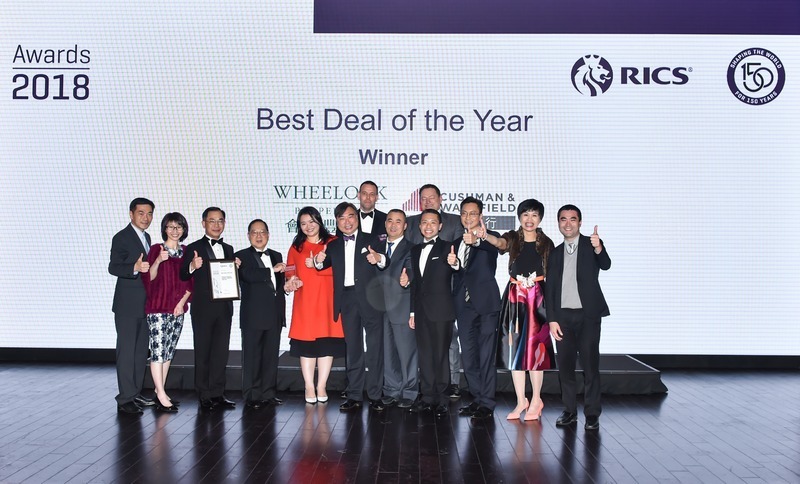 The annual RICS dinner and award presentation ceremony, held 23 March 2018 at the Grand Hyatt Hong Kong, is one of the highlighted events for celebrating this milestone. 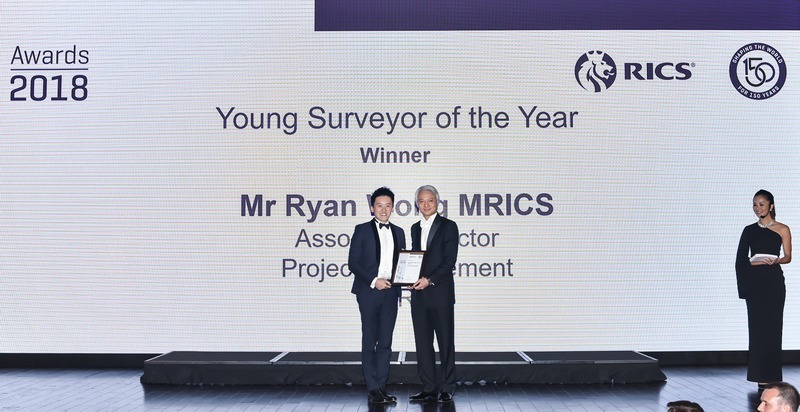 RICS CEO Dr Sean Tompkins joined the event from the UK to help commemorate the anniversary with local surveying professionals. 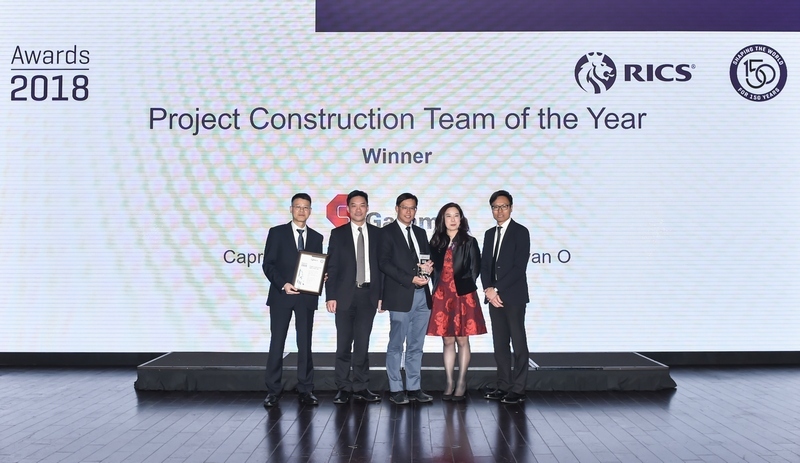 Guest of honour, Mr Paul Chan Mo-po, GBM, GBS, MH, JP, Financial Secretary, Hong Kong SAR Government, kicked off the ceremony with a speech recognising chartered surveyors for their significant contributions to the built environment. 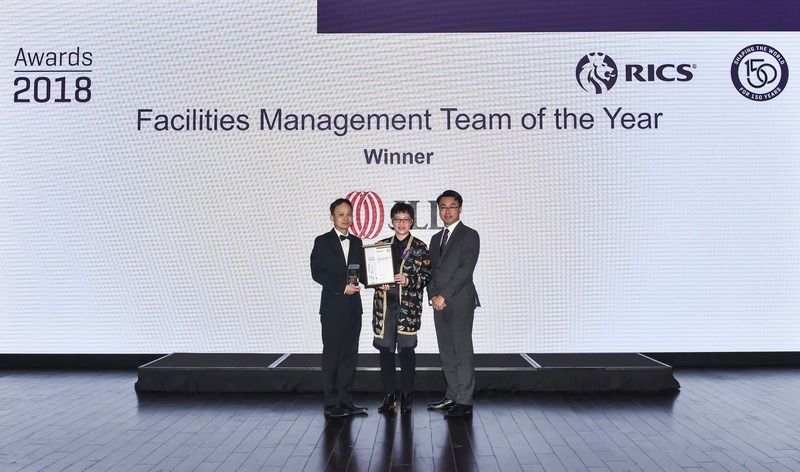 “Thank you RICS for inspiring excellence among our building professionals and for your counsel and support to the government. 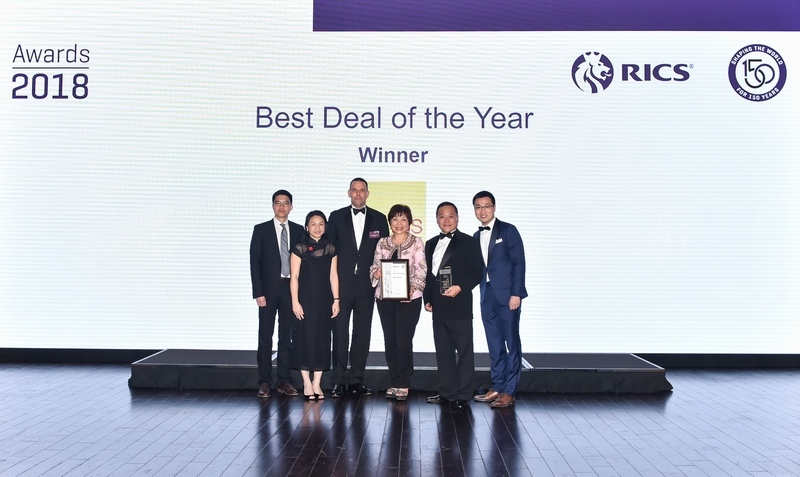 I’m even more grateful to RICS for your continuing support to Hong Kong and our economy. 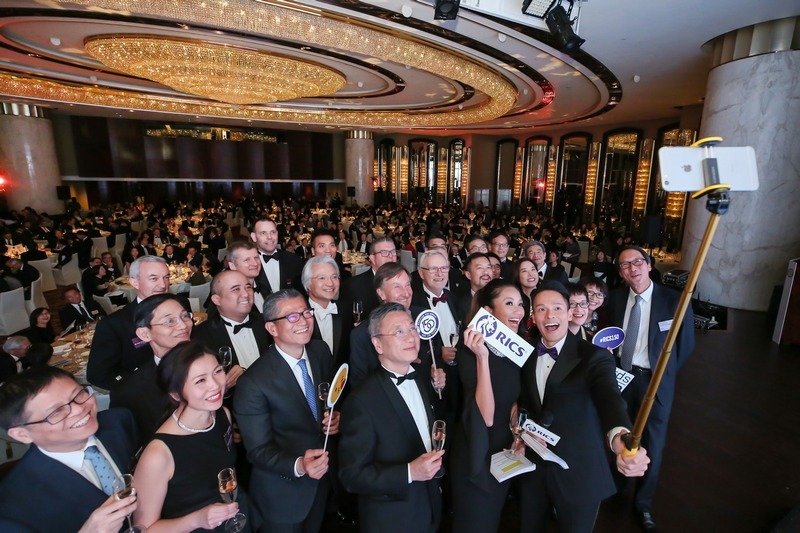 I have no doubt that your membership here will continue to grow and continue to make a difference for Hong Kong in the coming years.” said Mr Chan. 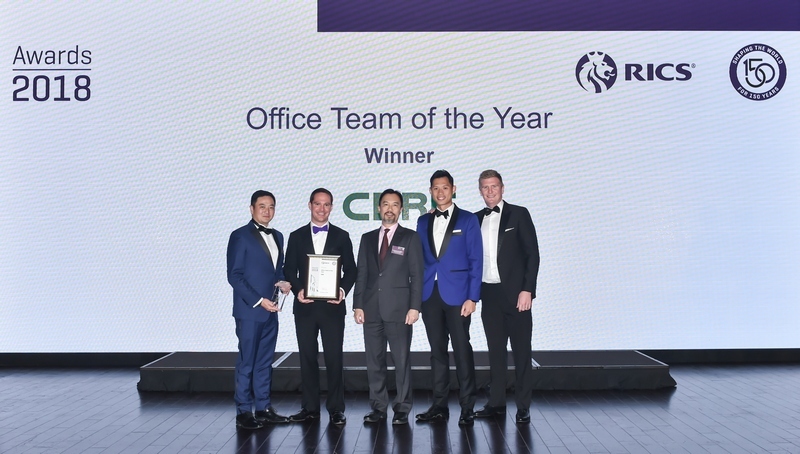 “The RICS Annual Awards and Annual Conference are the flagship events for our 150th anniversary celebration,” said Mr Clement Lau FRICS, Chair of RICS Hong Kong Board. 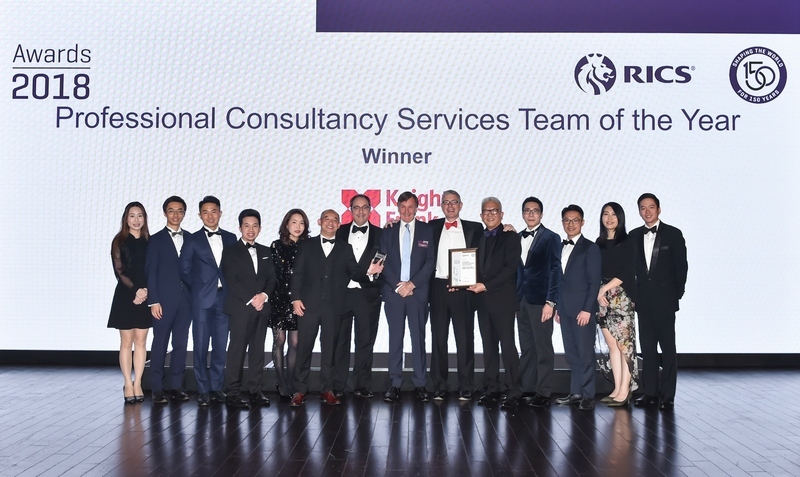 “While the RICS Awards showcases the best practices of local contributors in the built environment, our upcoming annual conference will present Greater Bay Area opportunities and offer insight on how to maintain Hong Kong’s leading role in the region’s built environment”. 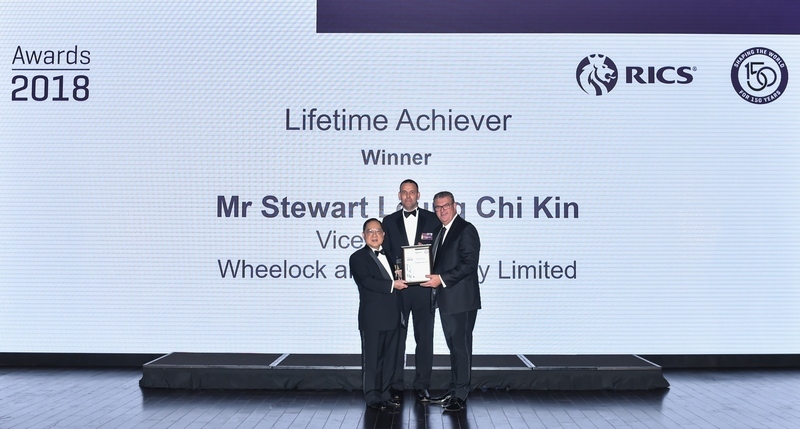 The RICS annual Lifetime Achiever Award was presented to Mr Stewart Chi Kin Leung, Vice Chairman, Wheelock and Company Limited. 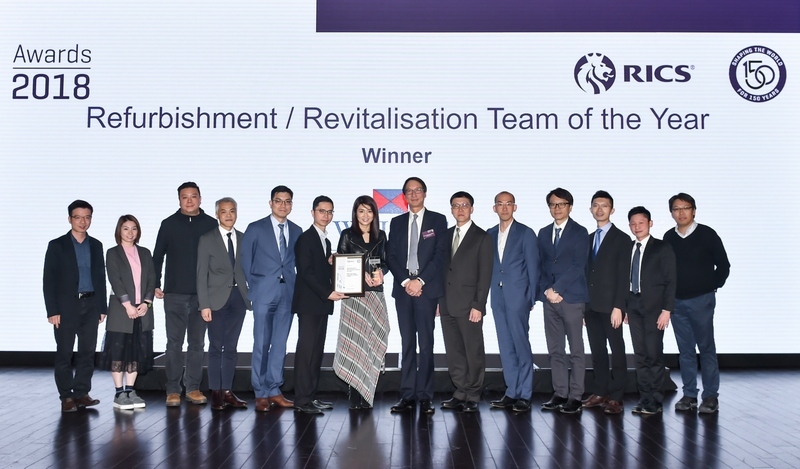 The RICS jury panel recognised Mr Leung’s 50 years of experience in property development, construction, management and related businesses in Hong Kong. 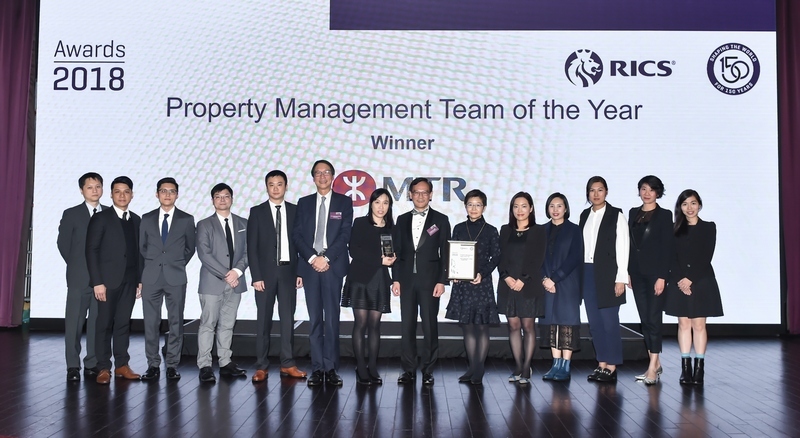 The panel also acknowledged his contributions to Hong Kong through his service in various social groups, including the Real Estate Developers Association of Hong Kong, and his ability to facilitate the evolution and economic development of his community. “I am extremely honoured and humbled to be receiving this award tonight. Many thanks to the RICS. I would also wish to thank the many dedicated, hardworking and smart people who have worked with me in the past 57 years in this industry. 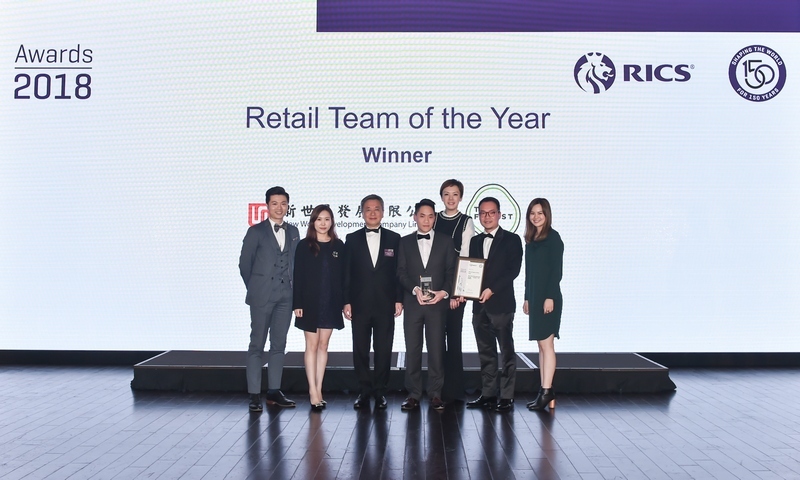 They have made my career and my life so much more enjoyable and meaningful.” said Mr Leung. 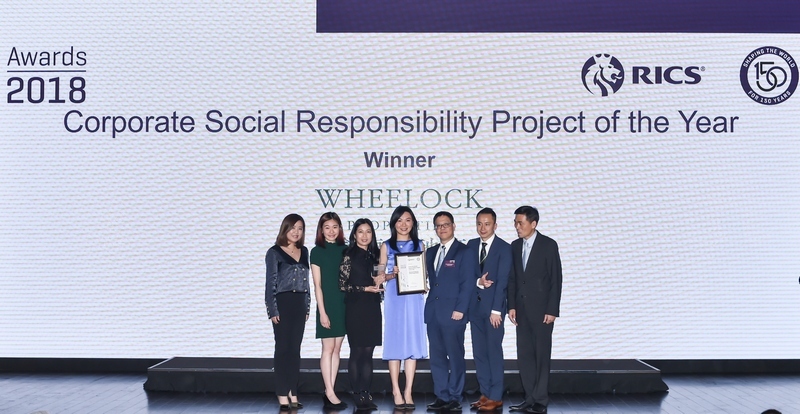 Certificate of Excellence: Chun Wo Construction & Engineering Co., Ltd.